On October 18, the 30 meter long, 266 gt tugboat Manyplus 1, while assisting the barge AZ Shanghai ran aground in Manila, Philippines. 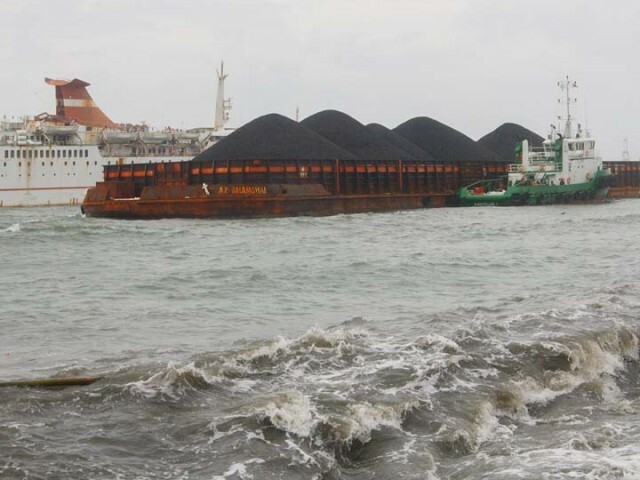 The tugboat and barge had been at anchorage for two days after arriving from Indonesia with 7,500 tons of coal when Typhoon Lando struck the Philippines. Strong winds from the typhoon caused the anchors to drag and both vessels were blown ashore. The 10 crew on the Manyplus 1 were safely rescued. No reports of pollution released. On Oct 19, the 138 meter long, 2593 dwt ro-ro passenger ferry Mary The Queen ran aground in Manila Bay, Philippines. 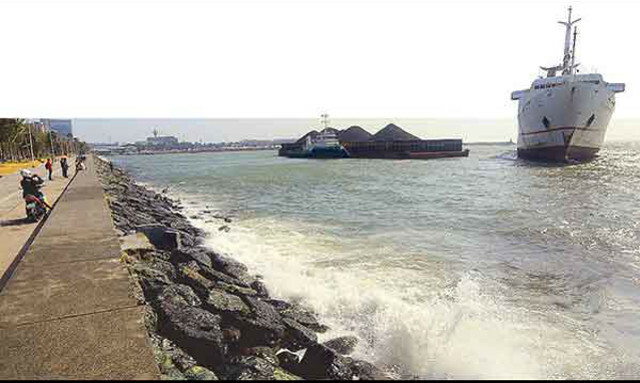 The ferry had been at anchor and was undergoing repairs when it was blown ashore a short distance from the tugboat Manyplus 1. No reports of injuries. A team of divers from the salvor firm Malayan Towage checked the hulls of the three vessels and did not find damage that might cause an oil spill.